Look at the recent geek news, and you’d think we’re in a time warp. 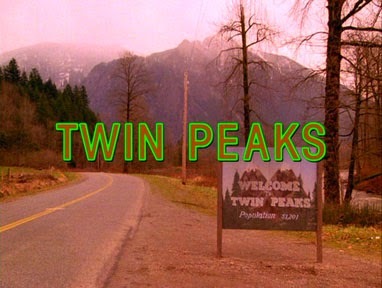 Twin Peaks is coming back. A Super Troopers sequel announced. Dumb and Dumber To, bringing Jim Carrey and Jeff Daniels back together 20 years later, is coming out in November. Ghostbusters is gonna get the Paul Feig-Melissa McCarthy treatment. 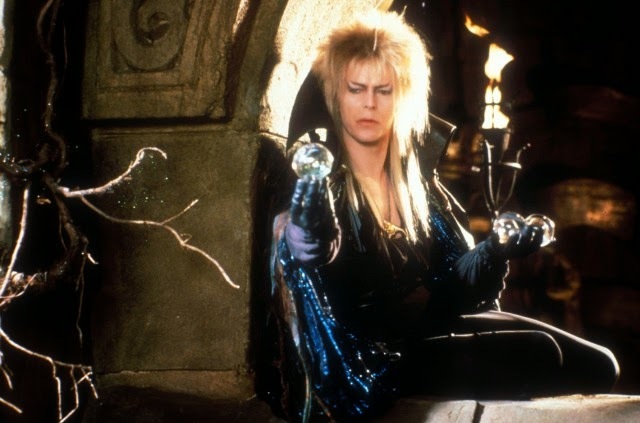 And, before the reunion fatigue could truly set in, word got out that the Jim Henson Co. are planning sequels for both Labyrinth and The Dark Crystal. Yikes. Is everything from 15-25 years ago coming back? People already were tired of reboots and remakes. But perhaps we’re entering the age of long, long overdue sequels and reunions. The age of zombie shows. Yes! Zombie shows! No show or movie ever just dies. It comes back and feasts on us all. It’s a world where greedy studios and nostalgic fanboys won’t ever leave anything alone. It’s not like I’m against reboots and remakes in of themselves. We’ve always remixed, revamped and refreshed for new generations. I also understand the power of a cult following combined with the cheapened production costs and enhanced capabilities of online distribution. Here’s my question: Who really is asking for everything they liked from 20 years ago to come back with the same people? Every year, we’re going to be swept away in getting-the-band-back-together fanboy effusion, but for bands who never had a T-shirt? Look: I really, really love Batman: The Animated Series, which began 22 years ago in 1992. I don’t want or need it to come back. But I liked Bucky O’Hare then, too. Homicide: Life on the Street is one of my favorite shows of all time. Of all time! I don’t want or need it to return now, 20 years later. After Homicide, David Simon went on and made the criminally underrated miniseries The Corner, proving that Khandi Alexander could do more than NewsRadio and a tiny spot on There’s Something About Mary. The Corner then set us up for The Wire, which may go down as one of the greatest TV shows ever. After Bruce Timm, Paul Dini, Alan Burnett & Co. finished up Batman, we got the entire DC Animated Universe. Would I trade the Project Cadmus storyline from Justice League Unlimited, the “Legacy” episode of Superman, or Batman Beyond: Return of the Joker for another shot at “Heart of Ice”? Firefly is regularly rumored to be coming back as a webseries. 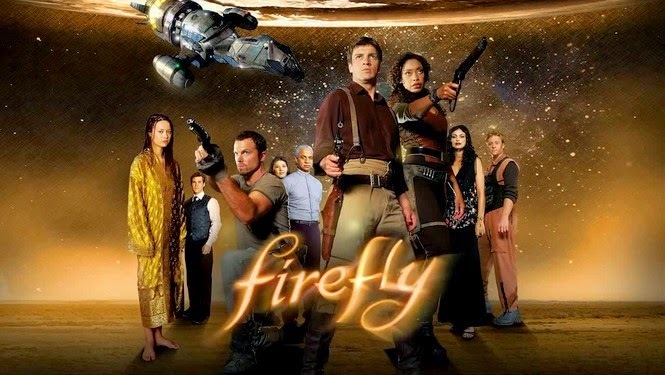 Whedonites, I know you love this show, but hasn’t Joss Whedon continued to give you Firefly – just as other, new things? I know what you’re saying, geeks: Why not have both? Creatives can do one thing, then another, and come back to the first thing if demand is great enough. But I don’t really think most people function this way. Once a project is finished, typically it’s finished. The energy can’t be reclaimed. The lightning won’t jump back into the bottle 20 years later, or a different lightning may be harnessed, still giving us something good but not quite the same. Here’s looking at you, Arrested Development‘s fourth season; still very good, but so different. The conditions of what made the original what it was happened then. You were different then. And – unless you’re Wally West, or Barry Allen in Flashpoint – they most times can’t be replicated for the same result. Case in point: the Veronica Mars movie, by which the very rich lead singer from Matchbox 20 the guy who has the same name as the very rich dude from Matchbox 20 asked us normals to finance his movie for him. If you wanted 90 minutes of “so that’s what happened to such-and-such,” you got it. Go watch those old X-Files episodes from 20 years ago that you loved. It won’t be the same. Sometimes, geeks, you can’t go home again. Yet there’s still talk of getting Duchovny and Anderson back in the gray suits again. Don’t get me wrong. Sometimes the zombie show does work, especially for the big things – shows that got bigger after its original air time. Star Trek got the band back together, and it worked. Despite a shorter hiatus, Family Guy went through something similar and is an all-time zombie show success story. All the same, I am fine with letting my ended geek loves cross the creative river Styx and enjoy an afterlife. I don’t need to fling myself headlong into the underworld like some pop culture Orpheus. Looking backward shouldn’t mean that I lose my old-time favorites, and I don’t want to hold their hand in the dark. Instead, I let them go in order to enjoy them more for what they were. But we’ve already had Ghostbusters 3 – the clever mix of personality-driven comedy and horror both scary and goofy – thanks to the Hellboy movies and This Is The End. Egon, Peter and Ray, right? Maybe this is part of why James Bond and Doctor Who can keep going and escape the zombie rule. Keep the zombie going with fresh blood. A new guy playing the role creates cognitive distance. The old thing becomes new, even if most of the old band is still playing.